Peru is at the top of many travellers’ South America bucket list and for good reason. You could easily spend months absorbing the culture, but if you only have 2 weeks in Peru, you’ll have time to experience some of the best parts of the country. 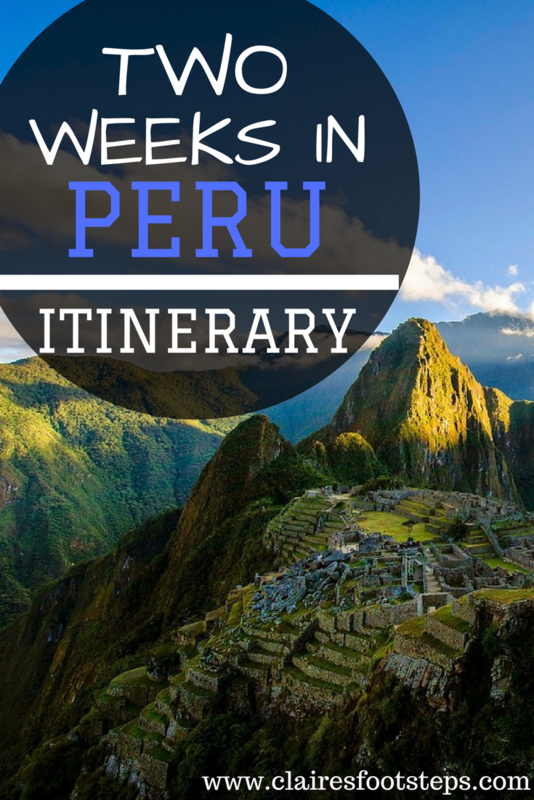 Home to ancient sites such as Machu Picchu, natural wonders like Colca Canyon and much more, this two-week Peru itinerary will take you on a whirlwind tour of the country’s highlights. 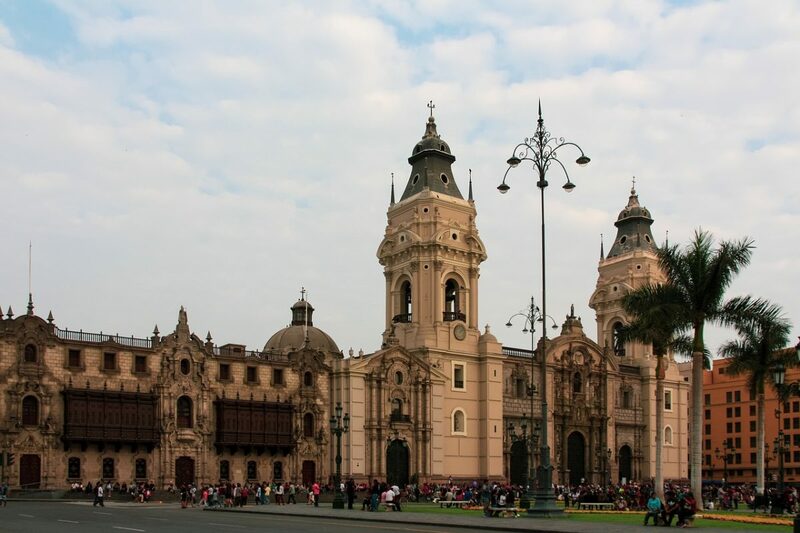 Lima has a growing reputation as one of the most exciting cities in South America – it certainly has the dramatic location to go with it. Perched above crumbling cliffs on the Pacific coast, it’s the perfect blend of old and new. Head into the old town, with its picturesque cathedral and the ornate Monasterio de San Francisco for a look at the grand colonial buildings of days past. Art lovers should put Barranco at the top of their list: not only is it home to an art gallery dedicated to photographer Mario Testino, it’s also a thriving hub of street art. 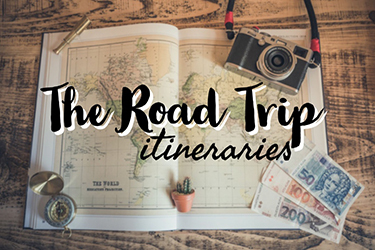 Don’t forget to try a few pisco sours and hunt out some ceviche along the way; Lima will have some of the best food you’ll eat during your 2 weeks in Peru! Suggested Stay: The Lot Boutique Hotel is located in the heart of the Miraflores district and is perfect for the mid-range traveller – it encompasses classy rooms and a lot of fresh outdoors space. For more information and to book, click here. To browse Lima accommodation, click here. Take a 3 hour trip from Lima to the South, to the rocky Ballestas Islands, located off the Pacific coast near the town of Paracas. While the Ballestas Islands may not be inhabited by humans, they are rich in wildlife, with 1500 species of marine birds (including penguins and pelicans), wild rock formations and a large number of sea lions on the island. Dolphins and turtles are also regular visitors to the island’s waters. On your way back, don’t forget to look out for the ‘Candelabra’, a famous ground-carving on the Paracas Peninsula whose existence still remains a mystery today. Stay in Paracas for the night, and check out the awesome seafood restaurants on the boardwalk. Waking up in Paracas, take the easy 1 and a half hour bus journey to Huacachina, a surreal desert oasis and tiny village, west of the city of Ica. The barren desert town is full of rich palm trees, flourishing foliage and an idyllic lagoon, among extremely reasonable hotels, shops and even an oasis library. But all of this tranquility doesn’t mean it’s not a town of adventures. 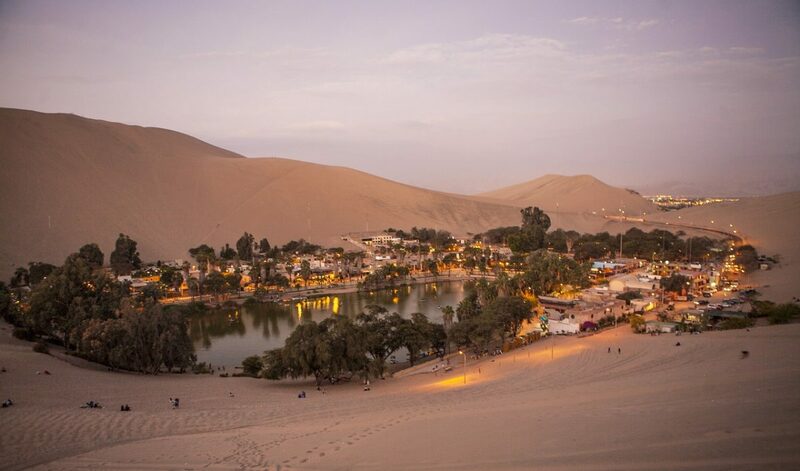 The mystical town is completely surrounded by a sea of sand, so tourists can dune buggy and sandboard down the sand dunes, and even swim in the lagoon. It’s a picture-perfect Peruvian oasis. 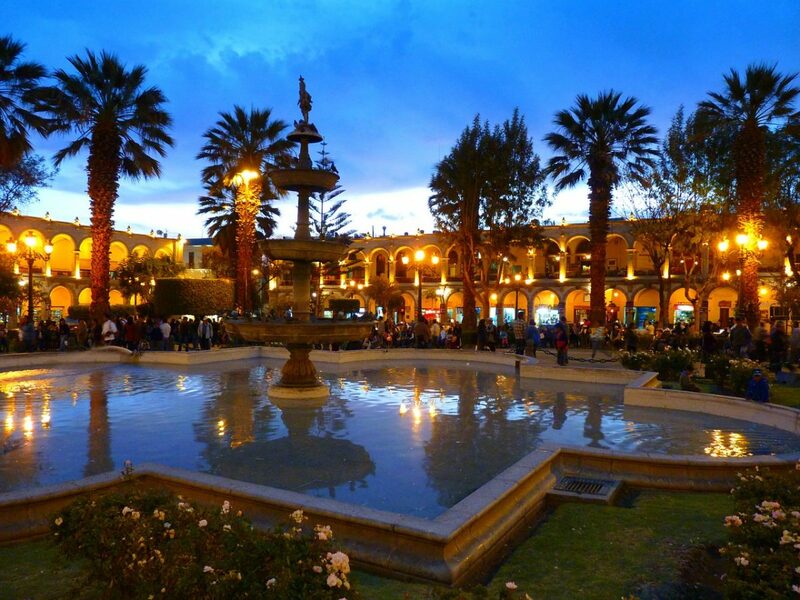 On the evening of your 4th night, take a night bus to Arequipa, which takes about 11 hours. After your 11 hour night bus, you will arrive in Arequipa. Arequipa is Peru’s second largest city, located on the Southern coast and surrounded by 3 magnificent volcanoes. The city has beautiful baroque architecture, such as the Basilica Cathedral of Arequipa, full of religious artwork and objects, which also earned a Unesco World Heritage listing in 2000, and the Santa Catalina Monastery, built in the 16th century. Most of the buildings are grafted out of the local white volcanic sillar rock, which is most likely why the city has withstood most of the volcanic eruptions. Cityscapes aside, Arequipa has fantastic Peruvian cuisine – make sure you check out rocoto relleno (stuffed spicy red peppers) and chupe de camarones (prawn chowder), best enjoyed in the city’s communal picantería restaurants. Take a bus from Arequipa to Chivay, taking around 4 hours. Chivay is a town in Southern Peru’s Colca Valley, and is the gateway to the Colca Canyon. On your first day, check out the sights of Chivay, including the La Calera Hot Springs and the Uyu Uyu, an archeological site. 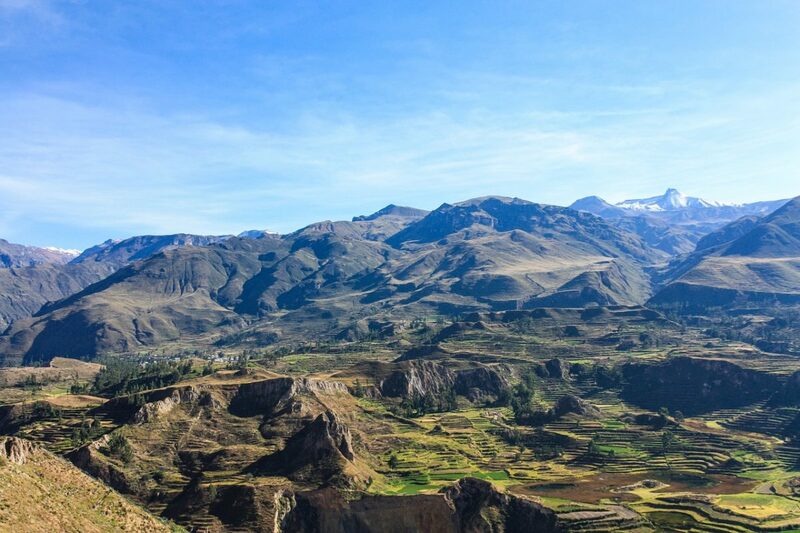 After a night’s rest, take the 12 minute walk to Colca Canyon, a river canyon which is also happens to be one of the world’s deepest trekking destinations. It is a must for all hikers, regardless of experience and ability. You can get fabulous views of the canyon at the Cruz del Condór viewpoint, as well as views of the native bird, the Andean condor. Don’t miss out on the best deals! Check accomodation prices for Chivay and book today. Colca to Cusco! Get an early 7am bus from Chivay’s main square to Cusco, which should take around 7 hours. Cusco is a city in the South-Eastern region of Peru, in the Andes mountain range. Filled with architecture, history, Cusco is a wonderful destination in its own right, as well as the jumping off point for trips heading to Machu Picchu. Cusco is arguably home to some of Peru’s best hotels, bars and restaurants – you’ll never be at a loss for things to do while you are in town. 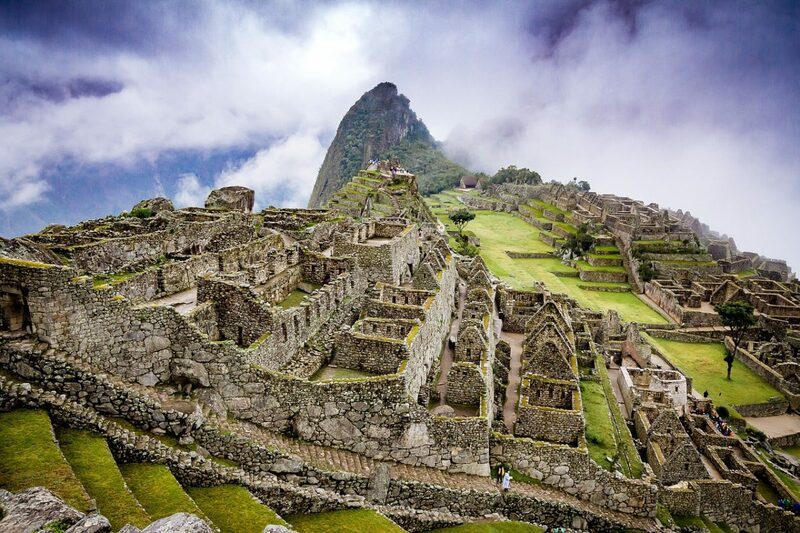 Make sure you go and see the Inca ruins at is home to the region’s best hotels, along with exciting bars, restaurants and museums. If you only make time to see one thing, ensure you stop off at the Iglesia de Santo Domingo. What better way to end your 2 weeks in Peru than trekking to the country’s most loved tourist attraction? If you are going to do the Inca Trail to Machu Picchu, it’s likely that you will be picked up from Cusco and taken to the start of the trail, three hours out of town. For those missing out on the four-day trek, spend a few more days in Cusco and take the train to Machu Picchu Pueblo, perhaps stopping halfway for a night at the amazing Ollantaytambo. From there you can catch a bus up to the great wonder itself. It’s worth staying in Machu Picchu Pueblo overnight and going up early as it helps to avoid the worst of the crowds. When planning a Peru or South America trip, people often ask “what should I pack for Peru?” It’s important to remember the range of climates within Peru; depending on where and when you go, it might be very hot or very cold. Be sure to research each individual place at the particular season to know whether you’ll need shorts and t shirts or rain macs and winter woolies! In some of these destinations, it can rain at any time. It’s therefore recommended to bring a rain mac, even if it’s just a small waterproof poncho. Of course, good quality hiking boots are also an essential for Peru – most visitors to the South American country will be doing at least some trekking! Don’t forget a first aid kit with plenty of medications incase you fall ill; immodium and rehydration sachets are a good idea for travel to this part of the world, as is a bottle of hand sanitiser and tissues. To ensure you drink safe water, it’s recommended to take a water to go bottle. 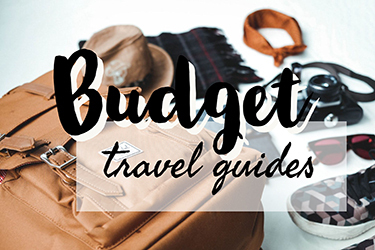 Some Peru – specific gear that you might want are a head torch and compass for hiking, dry bags for any valuables and equipment to keep your money safe – including a padlock and money belt. 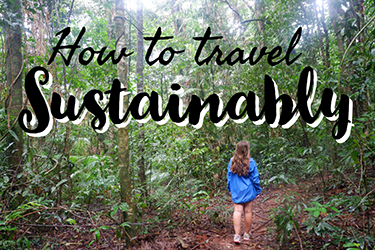 Don’t forget a good camera or maybe even a GoPro to capture the hikes; and remember a kindle to keep you occupied during those long bus journeys! Lastly, a smartphone or iPad is great to organise your trip with. And don’t forget a Lonely Planet travel guide and a Spanish phrasebook! This is a guest post by Julianna from The Discoveries Of. The Discoveries Of is an online travel magazine where travel meets culture and adventure. 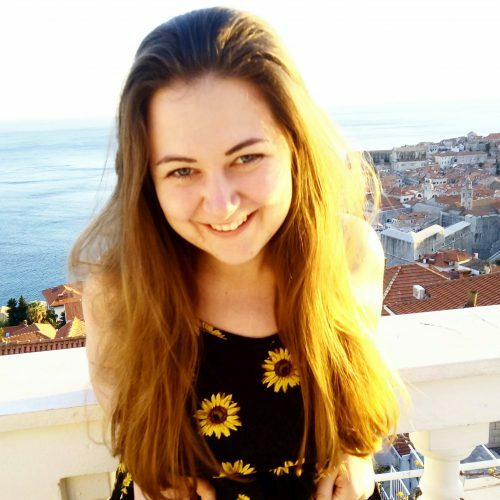 She’s a self-confessed travel addict who loves to explore new places, backpack in tow. Follow her adventures on Instagram.